Michelle Boucher from Aberdeen Research just put out another nice piece of research on Product Cost Management. (Actually, it’s not about PCM specifically.) 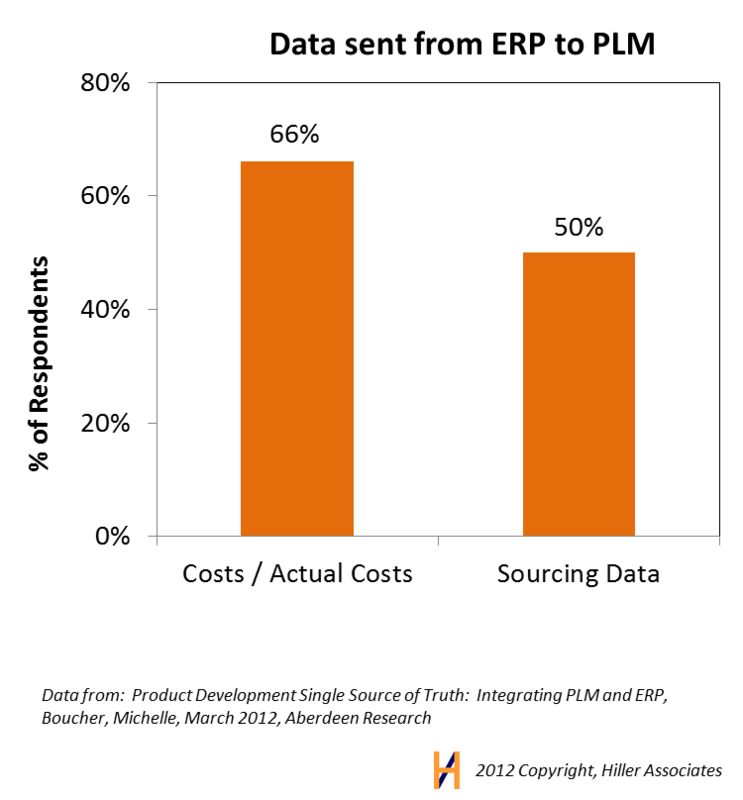 It’s called Product Development Single Source of Truth: Integrating PLM and ERP. The report delves into perennial topic of Enterprise Resource Planning (ERP) and (or versus) Product Lifecycle Management (PLM). I have worked closely around these enterprise categories for the last 10 years, but I admit I may not be an expert of Michelle’s level. However, from my seat in the ballpark, it feels like the open warfare between PLM and ERP has now morphed into a cold war or maybe cautious Glasnost and the realization of each other’s right to exist. Michelle’s report doesn’t focus on the war between the software categories but on the end customers. The end customers know that both ERP and PLM must exist in a corporation, but they have the problem of figuring out how ERP and PLM should best work together. 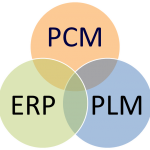 The general interoperability of ERP and PLM is beyond my interest in this post. What is interesting is that there is research in the report on Product Cost Management, even if the report does not call it out specifically. Here’s a few pieces of data that I have surgically excised from much larger tables from a much larger report. How important is Product Cost Versus Other Pressures? Readers of Jim Brown’s blog on PLM may remember that I did a post on this very topic a few months ago. You can read it here. Take a look at the figure to the right. It appears that my intuition was right, at least with the preeminence of time-to-market as the number one priority to product development. However, I was surprised to see that Product Cost Management came in number two in importance, albeit 25% less important than time-to-market (using time-to-market as a base). Regardless, that is encouraging. So, one wonders again why more companies don’t have stronger PCM efforts? 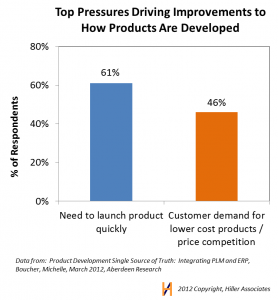 Does PLM and/or ERP Help with Product Cost Management? 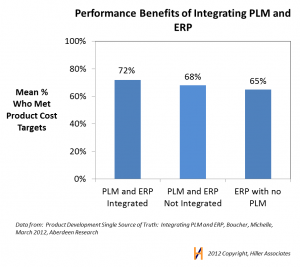 One of the tables in Michelle’s report shows the effect of a company having PLM and the effect of PLM’s level of integration with ERP on many different performance metrics. One of those metrics is whether a company meets its product cost targets or not. Take a look at the chart to the right. This is very interesting for two reasons. First, we see a range of meeting product cost targets of 65%-72%. Really? In my own research on about 40 operational companies in many different industries, the mean percent of time that companies meet product cost targets at launch is 20-30% — HALF of what Aberdeen is seeing. I wonder what the disconnect is in my data versus theirs? 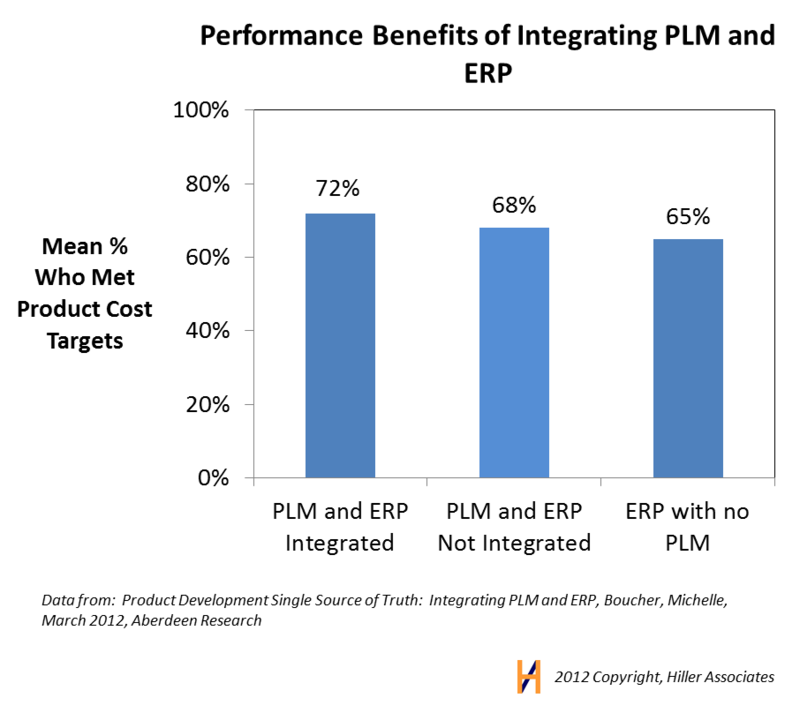 Second, the report shows mean (average) of the respondents that fell in each category on the chart (having ERP but no PLM system, having PLM and ERP but unintegrated, and having both in some level of integration). As expected, the companies with some level of integration do better, but is this statistically relevant? What is the standard deviation on this data? I ask this because the range of answers I get when I ask companies how often they meet product cost targets is from 0-100% of the time. Is PLM or ERP is Storing Product Cost Data? Management. However, I wonder how relevant the “Costs / Actual Costs” are to PCM, given that ‘actual’ costs imply old carryover costs, which are fairly irrelevant to new designs or re-designs. There’s a lot more in Michelle’s report than this narrow slice of data on PCM. So, if you don’t subscribe to Aberdeen’s research, you can sign up or just buy the report. Great data, though, Michelle. Thanks. HBS – Starting to Promote Manufacturing Again? I like American Manufacturing. I know that it is critical for strategic preparation for future wars in which we may unfortunately find ourselves. I believe that it is the single most important aspect of the US economy long term. Politicians talk a lot about about it; the media talks a lot about it; middle class America talks about it a lot. But, you know who doesn’t talk about manufacturing a lot?… business school students and b-school professors. Yes, I know this is broad brush with which I am painting, but I have a lot of ground to cover. I spent two years walking the hallowed halls of Harvard Business School, trying to eschew my engineering roots and tap into the ‘real’ money. I thought that I was going to be a rock’em sock’em investment banker. I was a very attentive student and was fascinated by finance. But, at the end of the day, I could not escape my love of manufacturing, American Manufacturing, a field that adds real value to the world. (In the end, I left HBS to do something I never thought I would: start a company and then another, and the first was all about helping American Manufacturing). 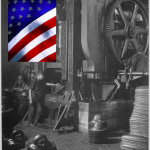 This HBS Prof is talking boldly about US Manufacturing and its importance. I’d like to see more of this. And, I’d like to see career paths for sharp young MBA’s be as lucrative in manufacturing and product companies as they are in consulting and financial services. Is that possible? Am I just dreaming? I’d like to hear some comments. We had the big casting on a housing of our product. One day we were talking in passing about how this casting cost us $500. One of our machinists overheard us and his eyes popped open. He exclaimed, ‘$500! That is only about a $100 casting!’ So, we made a very gentle inquiry of the supplier about this casting’s cost, and before we even mentioned shopping the part, they had dropped the part price to $150. On one hand, we were happy, but on the other, we wondered, were these guys cheating us? How many other parts like this were in our bills of materials? How did a $150 part get through quoting at $500? Why was material cost not indexed on these parts, so that the OEM and the supplier were protected and unsurprised by raw material price changes? Is the spend reviewed on a regular basis by a spend analytics tool that looks for outliers (positive and negative)? These answers to these questions are beyond the time that we have today. What this company needed in both situations was a good, speedy, should-cost process and a tool to support their quoting, re-quoting, and re-design processes. However, there are a few things that this company could have asked immediately (without a should-cost tool)? The following five questions are a powerful and fast filter to determine were a company should look deeper into re-quoting or not. What is the change in raw material price from the time the part was quoted – You know when the part was last quoted, its composition, and mass. It’s even better if you know the portion of the Piece Part Cost that comes from raw material, but you don’t really need it. There are paid sites such as American Metals Market, MetalMiner, London Metal Exchange, and Plastics News that calculate materials pricing. You can also access free data from the US government at the Bureau of Labor Statistics. Look up the price of the materials on the date you last quoted and today. Take the part mass and calculate what the difference would be. 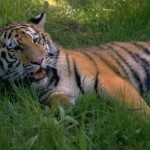 Then you will be able to avoid poking the tiger of asking for a re-quote when the cost of the raw material has risen significantly (as we see in the second situation above). Was the part quoted in a bundle or individually? Parts that are quoted in packages and bundles typically have less precise pricing from the supplier than individual parts. The supplier will want to make money on the bundle and may not put in that much effort to see that they are making appropriate profit (not too high or low) on an individual part. There may be more opportunity on a bundled part than on an individually quoted part. But, beware, you risk ‘cherry picking’ the part with the supplier and damaging your relationship with them. Also, you should check whether your contract on a bundled part even allows you to re-quote an individual part, or only the entire bundle. What is your buyers relationship with the supplier? – Although business is business, people still buy from people and make decisions in a way that is not always wholly rational, i.e. goodwill and bad will matter. If you are dealing with a supplier whose relationship is rocky with your company, make sure that the amount of money you think you will save on your part is worth potentially souring the relationship. Conversely, your part may become a battlefield where the buyer and the supplier fight out an existing cold war that has been brewing between them. Your part may get punished for reasons that have nothing to do with the situation at hand. 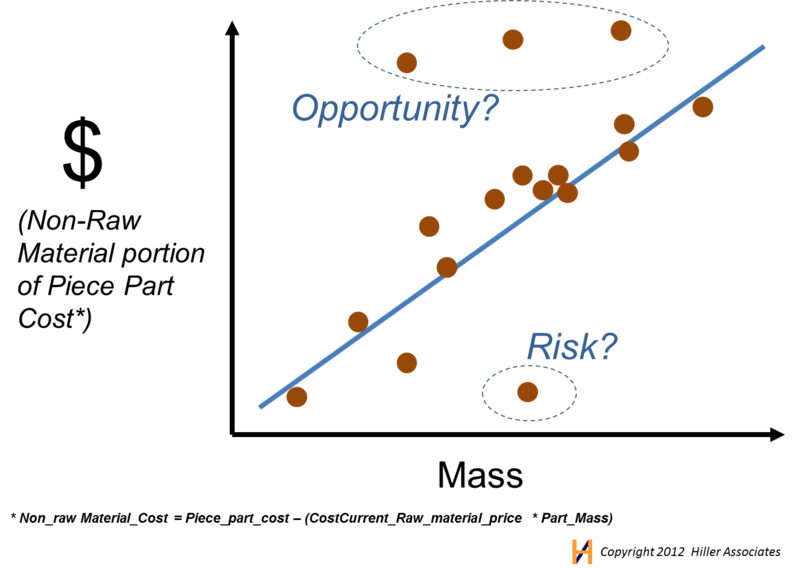 Do a simple cost/mass spend analysis on Piece Part Cost of that commodity – Pricing and cost are not precise sciences, but they do follow general trends. You don’t have to do a full and fancy spend analysis, but you can do a back of the envelop spend analysis that will point out the big opportunities and risks. All you have to do is ask for the costs and masses of 30 -50 parts of same type of commodity that you are interested in re-quoting (e.g. castings, forgings, sheet metal, etc.). You should be able to export this info from your company’s ERP, MRP, SRM, etc. system. 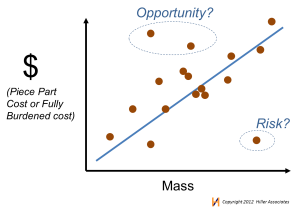 Just graph the cost versus mass and graphically consider if there “looks” like there might be an opportunity. This simple method would have prevented the first situation described above. Do a simple cost/mass spend analysis on the non-raw material costs portion of Piece Part Costs of that commodity– This method is a little more fancy but can highlight outliers a little more accurately. Remember that you already have a raw material cost approximation from the first question. Just calculate the Non_raw Material_Cost = Piece_part_cost – (CostCurrent_Raw_material_price * Part_Mass). Graph the Non_raw Material_Cost versus part mass (like we did in 4). 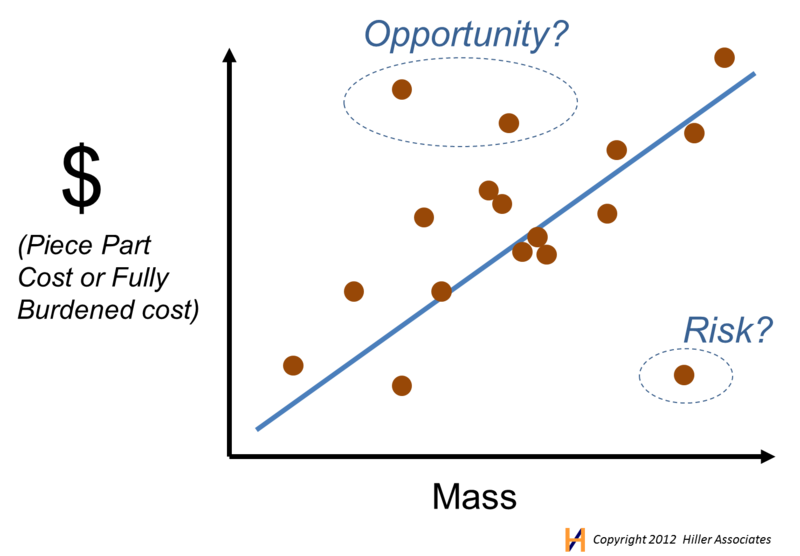 Once again, look to see if your part of interest is or is not an outlier. The great thing about suggestion 4 and 5 is that once you have done the mini-analysis for a commodity, other parts in the that commodity can be compared quickly. To re-quote or not to re-quote – that is the question. Hopefully, the five considerations explain here today will help you answer that question a little more confidently. As an aside… I was having trouble when researching this subject beyond my knowledge on the web. I.E. I could not find other articles on things to consider before asking for a re-quote. Does anyone know of articles that are relevant on the net, or is this only covered in books, or the tribal knowledge of gray haired purchasing agents? Costing Electric Components — A Free Tool the EE’s will Like! 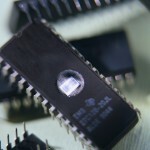 The good news is that there is a commodity market for these EE (electrical engineer) components. The “market” drives the cost down for you with many (theoretically) interchangeable vendors of the same part. This is very different from most mechanical parts, which are unique and must be sourced to specific suppliers for custom quotes. That’s the good news. Pricing Currency — How do I quickly find the lowest cost whenever I buy these components. Unlike the non-commodity world, the price will change often and quickly (and typically downward), until the component starts becoming obsolete. Obsolescence — Have you ever been looking for a new USB drive or laptop memory for your old computer, only to realize that the 2 GB stick is MORE expensive than the 4 GB stick? Well, you have encountered the effect of obsolescence in pricing. So you might ask, how to I know when the price is starting to rise due to obsolescence, because maybe I’ll make a large purchase at that point? Availability — where do I buy enough of what I need now? You can also directly search for parts in Octopart. 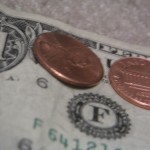 PartsList is FREE for personal use and, as of 4/6/12, was $9/month for commercial use. You can read more about PartsList on the Arena blog here article about it. Product Cost Management – An agreed, coherent, and publicized system of culture/goals, processes, people, and tools following the product lifecycle, that ensures the product meets its profit (or cost) target on the day that it launches to the customer. This definition can certainly be fleshed out further. I was at a conference a few weeks ago and heard a great presentation on social media by Overdrive Interactive. Part of the presentation was showing their map of the social media sphere that has become viral on the internet and the de facto standard many people use to orient themselves to the social web. I really liked that idea, and I’m a big believer in 1-page maps that give the reader an overview of a complex subject, as well as a starting point to dig for deeper detail. 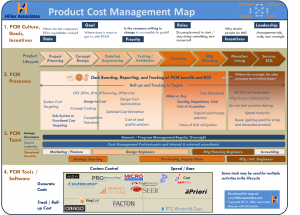 What does Product Cost Management look like from a graphical viewpoint? I believe that it looks like the attached map (click on the diagram to enlarge the map or DOWNLOAD IT IN .PDF FORMAT. Culture, Goals, Incentives – before attempting to put in place any process, people, or tools, the organization first has to ask the tough strategic questions. Where is our organization today in the PCM journey? To where does we hope to get and by when? And the big question: What is the priority of PCM and how much investment (honestly) will we make to close the gap from between today’s state to our goal? Once the company answers these questions, it can talk about the strategic structures that drive behavior (roles, incentives, and leadership support). 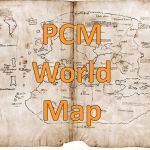 The next two continents on the PCM world map (PCM Processes, and PCM Tools/Software) follow the product lifecycle, and need to integrate with the company’s product development process. Different processes and different participants are appropriate at different points in the cycle. One important thing for people who are navigating the map to realize is that Culture, Process, Team, and Tools are all interconnected and influence one another (see the top right in the header of the map). For example, if you are at the beginning of the PCM journey, it is likely that your company is not ready for all the processes shown. It also may only use one or two of the tools. The company may not have reached a capability level to benefit from some processes, people, or teams. Despite the inter-connectivity of the system, the best place to start when beginning the PCM journey is with the Culture (see blue arrows on the left of the map). Like all high level maps, there are cities and even countries shown on it that have more detailed maps of their own. However, most companies would do well to focus on understanding the geography at the world level first, before hoping on a plane to a specific city. We can worry about street maps once we decide which cities we are going to visit! 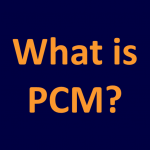 Product Cost Management (PCM) is tricky to define, although many people talk about it. PCM probably means a lot of things to a lot of people, but I have not yet seen a concise definition of what PCM really means. Some people use PCM to refer a to small set of processes that they use in their companies to help control product cost. Others use PCM to refer to something as broad as a mindset for designing products, and still others define PCM as synonymous with something as narrow as a specific tool. All them are probably right in some sense. When I was in undergrad, I would have said PCM was about Design for Manufacturability or Design for Assembly. In grad school, I would have said that it included Parametric Cost Modeling, and by the end of my first masters, I had completed a thesison that subject and invented the first practical commercial prototype for a true automated CAD ‘Feature Based Costing’ tool. During my time in industry, at business school, and through the founding of Feature Based Costing Systems (later, we changed the name to aPriori), ‘Feature Based Costing’ dominated my thoughts. But, as that company grew, we realized that a profitable product came from not only generating accurate cost information, other activities like rolling it up and sharing it. I started talking about “Enterprise Cost Management,” which included not only the product costs (Cost of Goods Sold), but the indirect (e.g. SG&A and R&D) costs of the corporation. But, even these new understandings were not enough. Some companies were successful at controlling product cost and others were not. Sometimes the successful and unsuccessful had a similar tool set of PCM tools for both generating and rolling-up costs. What was the differentiation between success and failure? Then the blinding flash of the obvious hit me one day: Product Cost Management wasn’t just about creating the ultimate fast and easy-to-use costing software or the right cost modeling method. PCM involved the entire ecosystem around the many tools that one might use to control the product cost. That ecosystem includes changing the culture of the organization to drive PCM, setting up a coherent PCM process aligned with the culture, and having the right team to plan and execute PCM. PCM was not about a specific point in the product lifecycle, but threaded throughout the product lifecycle stages. With this in mind, I submit the following as the definition of PCM. Such definitions always have the risk of being either too narrow (restricting the definition from important points) or too broad (making them effectively meaningless). Hopefully, this strikes a balance between the two. Regardless, I do believe that a picture is worth a thousand words (probably more) so I’ll work on a graphical description of Product Cost Management that is more definitive, detailed, and actionable. 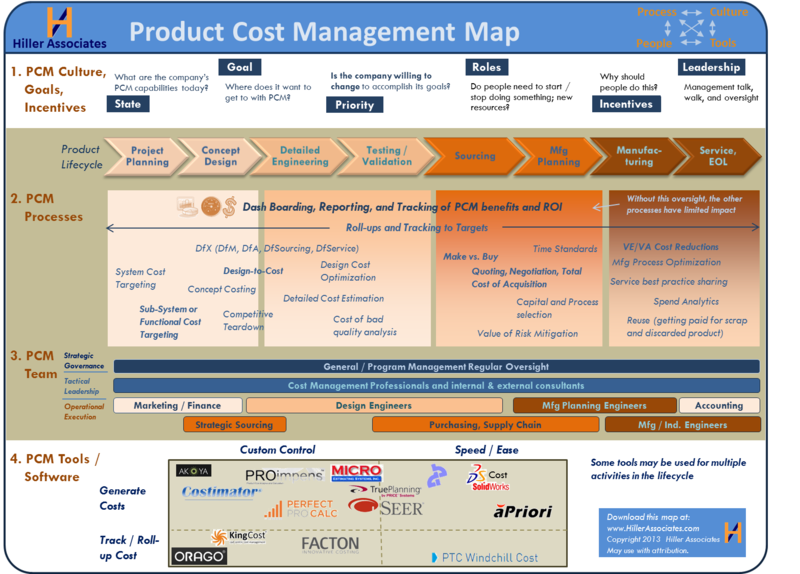 Hello Product Cost Management Aficionados! 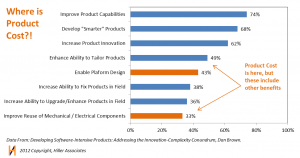 I just read a great post by Jim Brown over at Tech Clarity called “Software Intensive Product Survey says More Software in Products means More Problems.” It heralds another of Jim’s excellent research reports. This one discusses the role of software in products. As we all know, electronics (and now software) are making up an increasingly large amount of product cost… and an even larger amount of R&D costs. I was interested, so I read the full report called Developing Software-Intensive Products: Addressing the Innovation-Complexity Conundrum. 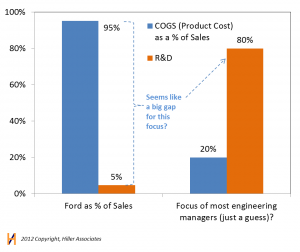 Product cost is over 20x more important to Ford than R&D cost! 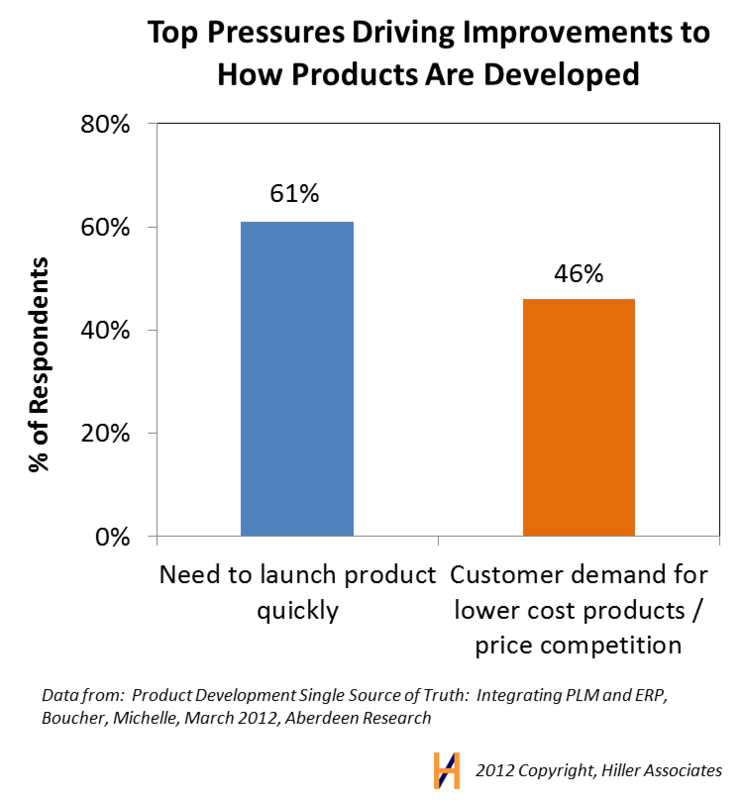 So why didn’t the managers answering Jim’s survey think about the effect of software on Product Cost, not just R&D cost? To be fair, Jim did call this out on page 6, saying that companies increase software to “Reduce product Cost.” However, on the next page, there is a chart with the top eight reasons that companies use software in products. (I reproduced that data here for your viewing to highlight) NONE of the catagories say Product Cost, although Jim shrewdly points out that “Enable Platform Design” and “Improve Re-use of Mechanical/Electrical Components” (reasons 6 and 8 respectively) theoretically “can reduce [product] cost.” I agree, but it’s not a direct correlation and these things, which are often are done for other reasons, and Product Cost. The telling thing to me is that “Reduce Product Cost” was not explicitly called out in ANY of the top eight reasons. I think it would have been very interesting to see a couple questions about the how software drives down product. Or, is it that at the end of the day, most engineering teams use software in lieu of hardware for other non-product cost reasons… or maybe that they don’t really perceive a strong relation between the use of software in products and the reduction of product cost? But, we did at Ford, right? I don’t know, but I look forward to Jim’s next report!